A city government shutdown? Really? Fraser Smith and Luke Broadwater, of the Baltimore Sun's City Hall bureau, talk about the possibility of a city government shutdown if city council members don't get what they want. 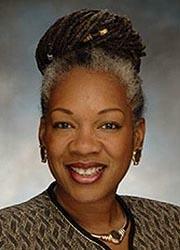 City Councilwoman Helen Holton announced at the end of Monday’s council meeting she will not seek re-election in 2016 because of health reasons.